This is modern living. 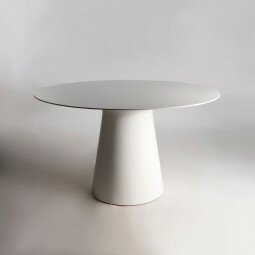 The ultimate in 21st century style in the most pleasing of shapes. 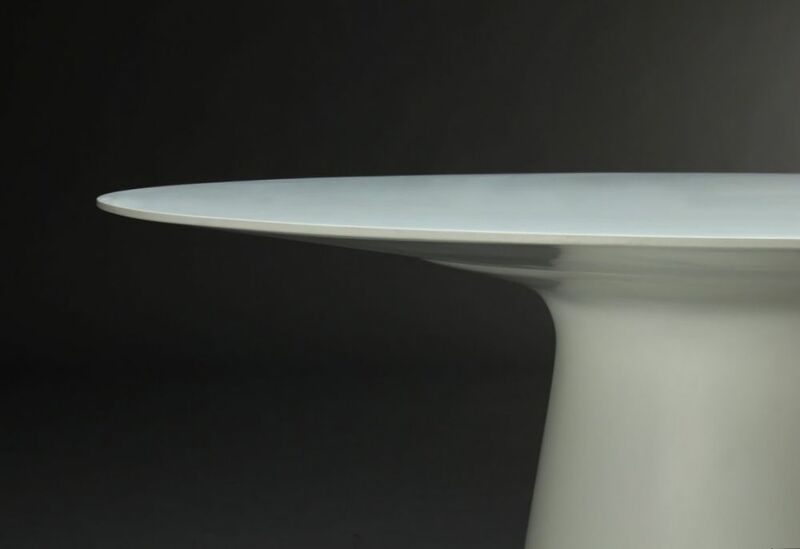 The overwhelming feature of this table is the thinness of the edge, a point of weakness you may think until you see the strength of the taper coming up to meet it underneath. 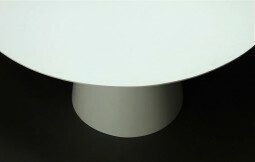 The fineness of the top is contrasted by the bulk and weight of the base. The table is made of corian/sky and would grace a dining room, conservatory or kitchen, because of the material it is constructed in, it would also be suitable for placing outside in a courtyard or garden. 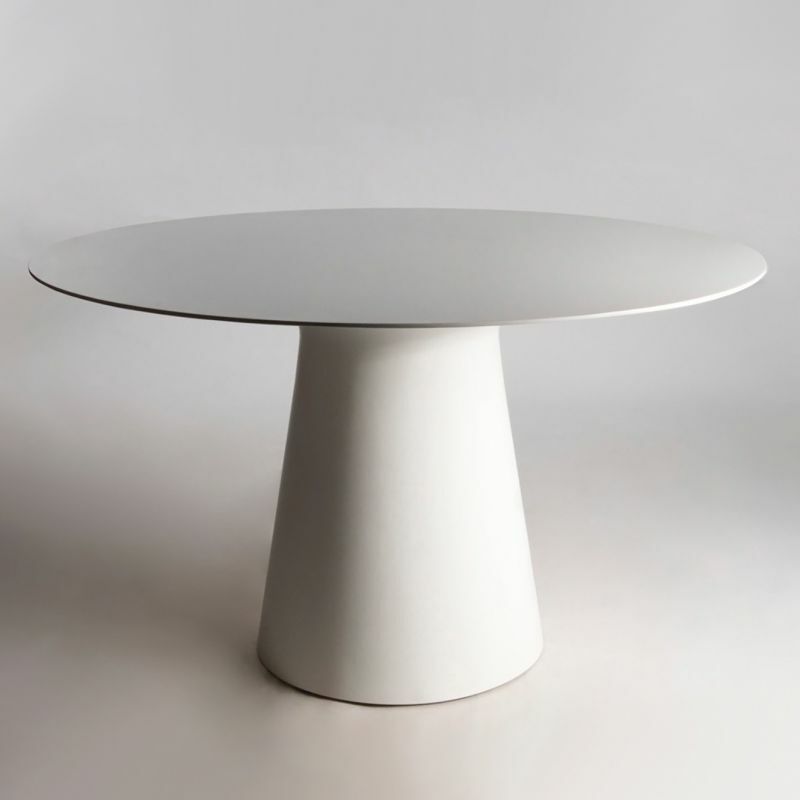 The Table was designed by Henrik Pedersen in Denmark in 2005. 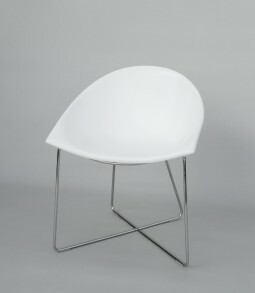 Also available are four chairs by the same designer. These chairs fit well around this table, they are wide so therefore four is a comfortable number. Six standard width chairs would fit. The four chairs are listed on a separate page at £1180. It is in good condition. It comes in two pieces for ease of movement. The table is 125 cm in diameter and 74 cm high.